Yeah, that’s what I thought afterwards, unfortunately I don’t have the tools necessary to do that... anybody can do it for a small fee? I think zourman did something similar? Ye, it is possible to cut a hole. You can almost see where a new updated 5 version or something will have its external accessible SD card slot...they will probably make a special arrangement on the chassis to handle the SD card. Yes, it would not be too hard to cut a hole where it is located...problem is that the SD card will probably not be reachable outside the chassis...to make it easy to insert and take out the SD card. Maybe just cut nice hole with dremel and put smaller flat cable and do it same way that with drumit5? 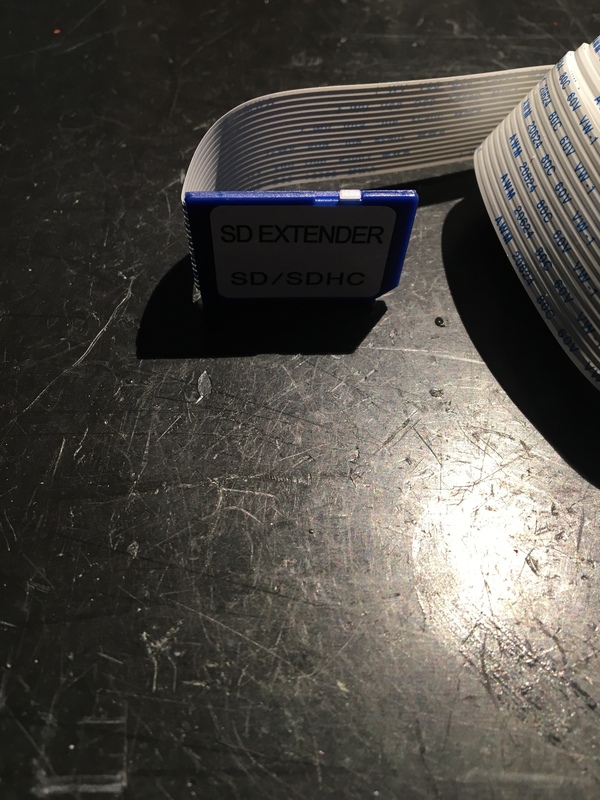 Looking on the SD extension cables we used in the “Five”...and the actual flat cable behind the sd card extender...I would guess this cable would fit even if the gap to the wall plate is almost zero on the “Three”.